Scott Hanselman (http://www.hanselman.com/, http://twitter.com/shanselman) recently tweet'd, "I need a keyboard with an "http://www." button." shanselman responded (as well as to others with the same smart remarks), "@aaron_hoffman in tweetdeck or Twitter, you do." --Aaaah, I get it now, he's not in a browser! okay, he has me in Check. Now I just had to solve this problem. Well automation/degree in laziness (with years of laziness experience) to the rescue! At first I thought PowerShell - but since I am on a WinXP SP2 machine, that wouldn't do. I'll have to fall back to the console app & desktop shortcut combination of yester-system. 2.2 Note text string of "http://www." 4.1 Shortcut key: "Ctrl + Alt + H"
6. 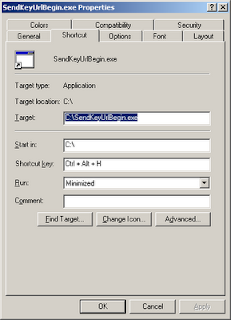 This should run the New App, which should send the text string as keystrokes to the currently active window. 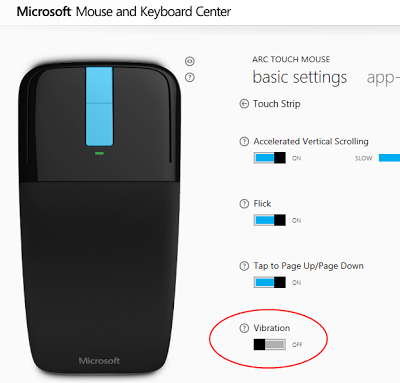 I recently purchased a Microsoft Arc Touch Mouse and wanted to turn off the middle button wheel scroll sound vibration. It is possible, however perhaps not obvious. First you need to download the "Mouse and Keyboard Center" executable available on this page https://www.microsoft.com/accessories/en-us/products/mice/arc-touch-mouse/rvf-00052#techspecs-connect. p.s. Want to make that next report really pop? It was hard to find this information all in one place, so I thought I'd throw a post together quick. 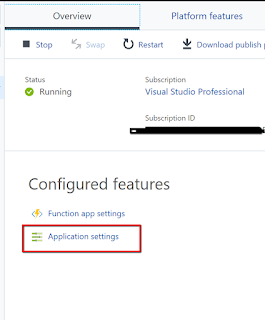 If you have the need to execute a stored procedure on a timer, that can be fairly easily accomplished with Azure Functions. This code will not compile at this time. Note the name of the connection string, we'll need that in the app settings page.